Very nice Lori, artistic for sure. Bright and beautiful photograph. 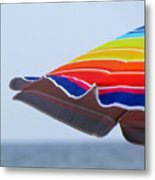 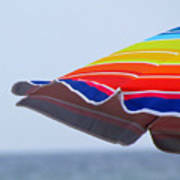 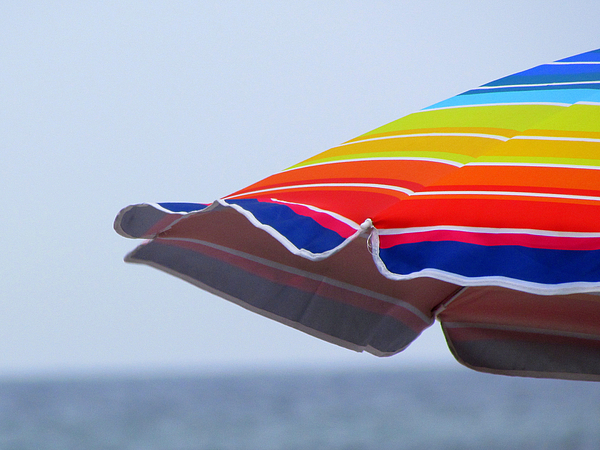 A brightly colored, striped, beach umbrella stood proudly against the sun and wind, raising it's flaps to see all the other colorful, but weak umbrellas succumbing to the wind! !